London Marathon | Run S.M.A.R.T. 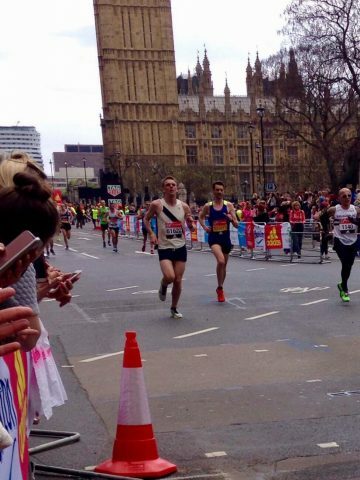 Mark Shilling of Summit, NJ capped off his breakthrough spring season with another big PR at the London Marathon. 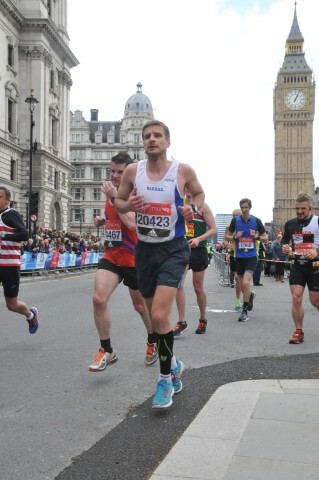 After setting a new personal best at the NYC Half (1:18:04), Mark dropped 9-minutes off his marathon best in London. Thanks to very even pacing (out in 1:21:23) his official time was 2:43:10. [Full Results] He was 74th out of 4269 runners in the 40-44 age group. Mark (pictured right, bib 54174) works with Run SMART coach Jay Bawcom. Congrats, guys! 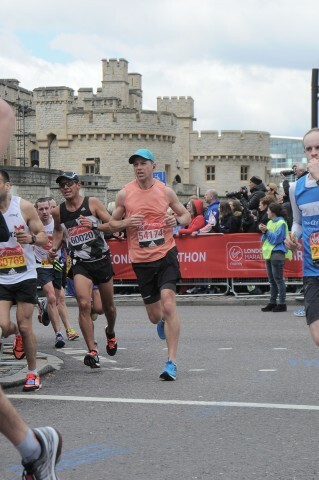 Congrats to Neil Curran on the new PR at the London Marathon last month. Neil’s official time was 3:08:03, over 8 minutes faster than his previous best. Charlie Hartel signed up with The Run SMART Project to help him prepare for the London Marathon. This past weekend the Manhattanite set a new personal best in London after a few scares (injuries and an erupting volcano) threatened to keep him from the starting line.